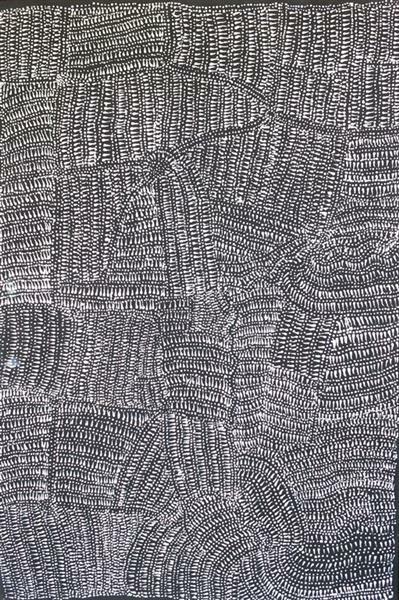 Annie Farmer was born in her parents' country Mitjirri'- a place in the Gibson desert close to the remote community of Warakurna. 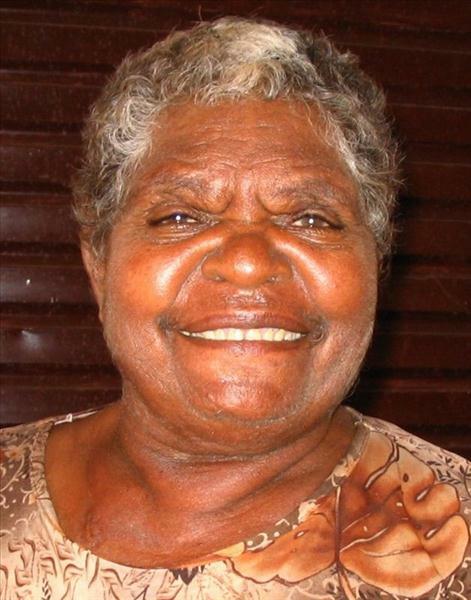 She spent her early years with her family living the traditional nomadic life of the Ngaanyatjarra people in the desert. When Annie was still a young woman she moved with her family to Warakurna where they stayed for a short while before moving on to Warburton and then Docker River un l finally Annie se led with her husband (dec) in his country- Tjukurla. Annie had 5 children to her husband in Tjukurla, 2 passed away when they were still young, and recently a grown son. Her two remaining sons are Henri Farmer and Sonny Farmer. Annie Farmer is now an important senior woman in Tjukurla. She is a guardian of Ngaanyatjarra cultural heritage, and is the custodian of sacred women's business and ceremonies in the Ngaanyatjarra Lands. 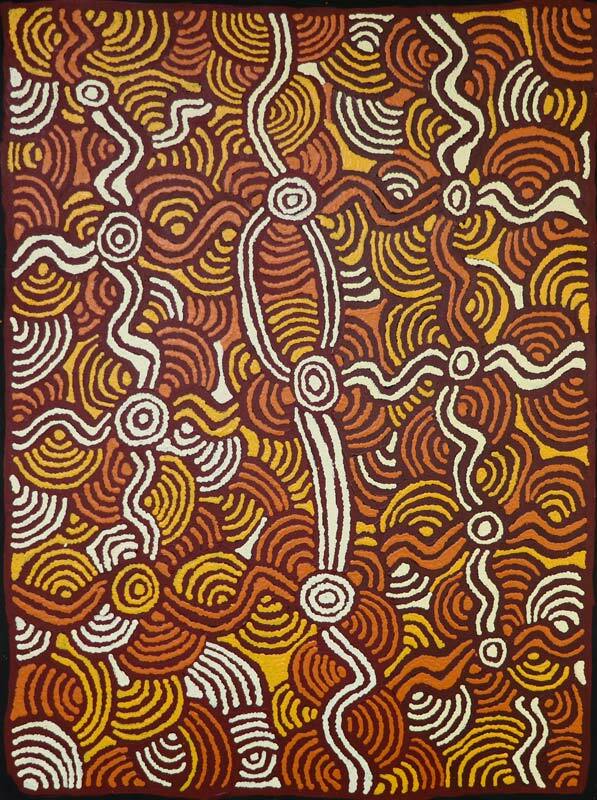 This knowledge and strong cultural heritage is integral to the striking beauty of her paintings. Annie is also a skilled Tjanpi weaver and purnu carver, it was these mediums that provided her with creative employment until Tjarlirli Art began in Tjukurla in 2006. 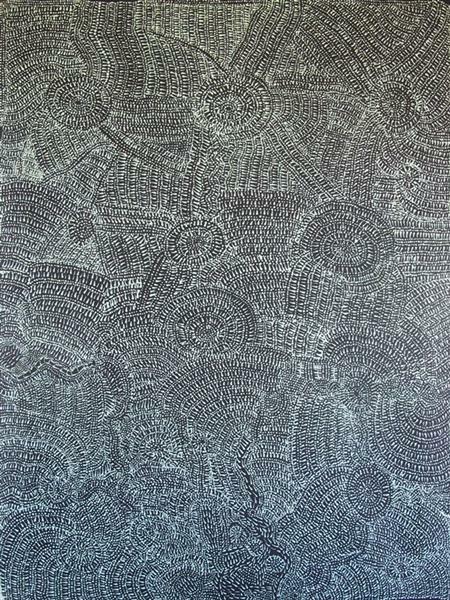 Since, Annie has become an important contributor to the dynamic and powerful painting movement in in the Ngaanyatjarra Lands.